Obituary for Jetta Fern (Tompkins) Wellman | Minnis Chapel, Inc.
Jetta Fern Wellman, age 103, passed away Nov. 19, 2018 at Park West Plaza Manor, Wichita, KS. She was born on Dec. 2, 1914 in Pratt Co., KS, the daughter of Elmer Lee and Jetta Maude (Alton) Tompkins. On Nov. 13, 1937 she married Loren William Wellman at Newton, KS, he preceded her in death. Jetta graduated from Byers High School in 1932, received her teacher’s certificate from Northwestern State College in Alva, OK, received her Bachelor’s degree in Elementary Education from Fort Hays College and completed her Master’s degree in Library Science at Wichita State. 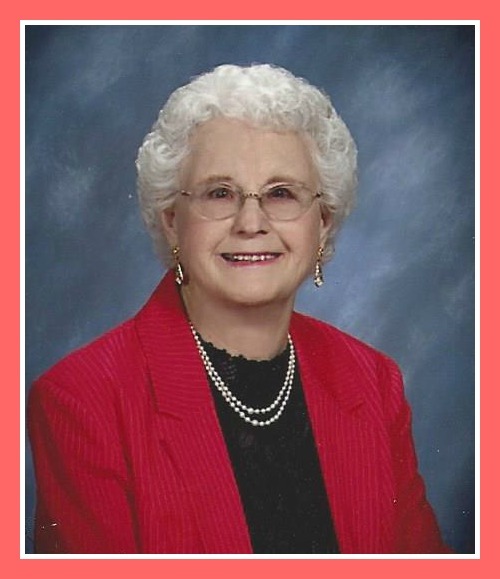 She was a retired teacher and librarian from USD 259, Wichita, KS and a former resident of Macksville, KS. She was a member of Grace United Methodist Church and Rebekah’s Lodge as well as numerous service organizations. Survivors include a son, Roger Wellman (Patty), Wichita, KS; a granddaughter, Kim Maxwell (Jim) Odin, KS; two brothers, Don Tompkins (Martha), Pittsburg, KS, Garry Tompkins (Carol), Deltona, FL; a sister, Mary Ann Hemphill-Soerries, Pratt, KS; two great grandchildren, Kami and Kendi Maxwell. She was preceded in death by a son, Robert Loren “Bob” Wellman; brothers, Vernon, Wayne, Victor, Carl, Marion, Larry and a sister, Marjorie Savoy. Funeral service will be 11:00 AM, Saturday, Nov. 24, 2018 at Grace United Methodist Church, Macksville, KS, with Pastor Brian Blackburn presiding. Burial will follow in the Farmington Cemetery, Macksville, KS. There will be no visitation. In Lieu of flowers, memorials may be given to the Macksville City Library in care of Minnis Chapel, P.O. Box 34, ST. JOHN, KS 67576.